Tomorrow (Tuesday, Dec. 1) marks the first day of Christmastime! What better way to celebrate than introducing a new blog series "25 Days of Christmas Stories"? This special holiday series is designed to share Christmas stories through the voices of authors who wrote and published Christmas stories in novel or novella form. 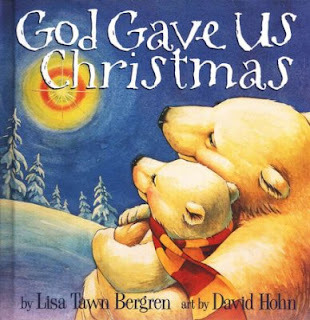 Every day from Dec. 1 through Dec. 25, you will meet a new author and learn about a fictional Christmas story they created. You may even have a few chances to win a copy of their featured book! It's going to be a delightful 25 days filled with insight about these wonderful authors and their work via devotionals, interviews, personal essays and book reviews with excerpts from their Christmas stories! I hope you are looking forward to this new series! A lot of wonderful opportunities to warm your heart and bring joy to your day are in store! 'Tis the season of Thanksgiving for everyone living on American shores! It's a holiday that's unique to the citizens of the U.S.A. but the concept of thankfulness can be applied to anyone living on any land, anywhere in the world. What are you thankful for today? Maybe you're blessed by God more than you realize? Mary Manners is visiting the blog today to share her story that will encourage you to "count your blessings" because God is good and He provides for your every need. Welcome Amber Schamel to the blog today! She's a Colorado-based author who loves Jesus and loves serving her community! I love this concept of how God is "there all the time"! It's beautiful and it's Biblical! Read Hebrews 13:5 for proof. Amber's story reminds me of this song of the same title "He Was There All the Time." I hope you will find encouragement and hope for your journey through life as you read her story. My love story with Jesus began the day I was born. Both of my parents were raised in church, and they believed in giving us that same foundation. I spent my childhood going to Sunday school, learning about Jesus in our homeschool, memorizing Scripture songs and singing Jesus Loves Me. And I always knew that was true. Jesus loved me. I knew it in my head, but it hadn't yet sunk into my heart. When I became a teenager, my family went through some real struggles. Our home life was full of strife, and my parents even separated for a while. Through this time, I turned to friends for the love and companionship that I wasn't getting at home. But my friends failed me. There was a yearning in my heart that no one could fill. That's when Jesus stepped in. He'd been there all along, but He was waiting like a gentleman for me to open my heart to Him. When I needed Him most, He was there. He held me in the darkness as I cried. He whispered words of encouragement and love when I felt alone. When my friends abandoned me, He stayed. There were nights when I literally felt His hand holding onto mine. Through my struggles, He was proving to me that He loved me. One night, I realized that I had not been loving Him back the way He deserved. Sure, I'd accepted Him as my Savior when I was seven, but I'd served Him out of a fear of going to hell, out of a fear of missing the second coming. All this time He'd been faithful to me. Stayed with me. Loved me unconditionally. And I served Him out of fear. He deserved so much more than that. I fell on my knees and told Him that from today, and for the rest of my life, I would serve Him because I love Him. That night took our relationship to a whole new level. Since then, we've spent a lot of time together. We walk together, talk together. He sends me love notes. I write love songs to Him...and believe it or not, He writes love songs for me too. Jesus is the love of my life, and my best friend. There is none that can compare. Nothing like a moment in His presence. I wouldn't trade His love for the world, or anything in it. Each and every day, I strive to know Him better. To serve Him more fully. And every day I fall deeper in love with Him. With Jesus, I have a true Happily EVER after that will span into eternity. She has a passion for travel, history, books and her Savior. This combination results in what her readers call "historical fiction at its finest." 'Tis the season for celebrating the birth of Jesus Christ and reading beautiful Christmas stories such as A Boulder Creek Christmas written by Mary Manners! 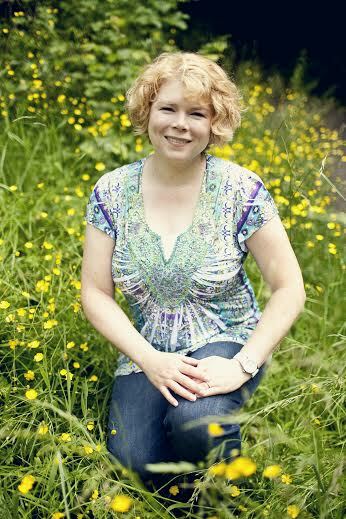 Mary is an award-winning inspirational romance author who works with children as an educator when she's not creating beautiful Christian fiction stories. She's quite the multi-talented person! Today, we're shining the spotlight on Mary's new Christmas romance, A Boulder Creek Christmas. Mary is hosting a book giveaway contest too! She will give away one e-book/Kindle copy of A Boulder Creek Christmas to the winner! Fill out the items on the Rafflecopter widget to enter the contest. You can find the widget toward the end of this blog post. Enjoy reading about Mary's book, she's sharing an excerpt from her book today just for you! Book blurb: Alani O'Dwyer offered her heart to Ryan Connolly years ago, and he tossed it aside without so much as a backward glance. Though the town of Boulder Creek dubs him a hero, she vows she'll never again fall victim to his charms. “That sort of sweet talk will get you places—not.” Alani adjusted the strap of her purse over one shoulder, fishing inside it for her cellphone. “So explain yourself, and quick, before I call the law.” She located the phone and waggled it in front of Ryan’s face to add leverage to the threat. “You forget that the chief of police is my dad.” Ryan splayed a hand across Moe’s head and gave him a good scratch between the ears, eliciting a delighted yawn from the traitorous beast. “We’ll see…” He leaned in, dipping his head as if to kiss her, then seemed to think better of it and pulled back, turning away to pace the length of decking. Of course, Moe matched him step for step. If you ever felt unwanted, unloved and hopeless, this story is for you. It's Teresa Pollard's story about how God's House "spelled L-O-V-E" for her when she was a a lonely child. Read her story to discover how God transforms broken into beautiful and makes the unloved feel lovable, safe and secure in His arms. Ultimately's Teresa's love story with her Savior Jesus Christ is one of HOPE and restoration. My love story with Jesus began an early age. This is probably unusual because I’m not from a Christian family. My next-door-neighbor, Pat Harmon (now Dyson), began taking me to church with her when she was only a pre-teen herself. Every Sunday she’d come to my house, take my younger sister and me by the hand, and bring us with her to Sunday School and church. I loved it there. So many hugs and handshakes from strangers. God’s House spelled L-O-V-E to this lonely child. I was a lonely, unloved child. I’d lost my front tooth as a baby, and it was the last one to return, which by the time it did, it was as crooked as Al Capone. That and stringy mousy-brown hair made me “unlovable” in most of my family’s eyes. A friend of mine told me that it wasn’t until she was an adult that she knew that God loved her. I was just the opposite. When I sang “Jesus Loves Me” and “Jesus Loves the Little Children,” it touched me and thrilled my soul. I think it was the first concept I did get. Maybe because I needed it so badly. At age twelve, I gave my life to Jesus Christ and was baptized. But He had my heart long before that. When I was age eight or nine, I’d gone to my mom and told her I loved Jesus, and I asked to be baptized. She told me to “wait until my sister was old enough” because she “didn’t want to go through that twice.” So I waited. When I did go forward, the pastor shook my hand. We didn’t kneel and pray or anything then. That wasn’t done back in those days, at least not in our church. It was generally done when the pastor came to your home afterwards. But when he came to my house, my mom offered him a beer. That wasn’t conducive to sharing the gospel. I know now this is completely backwards, but it wasn’t until the night of my baptism that he finally shared the gospel with me and I prayed to receive Christ. I was overjoyed. That doesn’t mean I never strayed. I was faithful in my church service until I was about sixteen. Then my parents divorced, and it was messy. I stopped going to church on a regular basis. I never did anything wild or crazy. (Well, the “wildest” thing I ever did was run off and get married.) Most of my life, I’ve been accused of being a “goody-two-shoes” or a “teacher’s pet.” Maybe I was afraid if I did wild things I might lose His love. I don’t know. I know I never wanted that to happen. Anyway, after my oldest daughter was born, another pair of neighbors, Happy and Katie Hash, shared the gospel with Wade (my ex-husband) and me. Wade received Christ. The next morning, I was down on my knees praying, asking God if I really was saved at all. He graciously gave me an inner vision of myself in that upper room when I was twelve, praying that sinner’s prayer. I’ve never doubted my salvation since. I seek to serve Him all my days. Because I love Him. Because He first love me. Teresa Pollard is from Richmond, Virginia. She was saved at a young age. 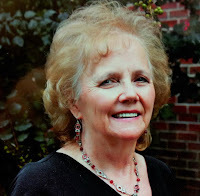 She has a Master of Arts degree in English and Creative Writing from Hollins College, and has served as a Sunday School teacher and children’s worker for most of the last forty years. 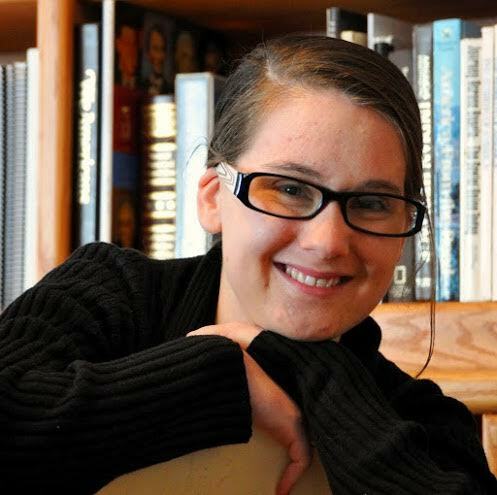 She is the co-author of Not Guilty and Not Ashamed, and the author of Tokens of Promise and Woman of Light. Married for forty years, she was devastated by divorce and the death of her youngest daughter. But God has blessed her with a new home and another grandson. She now resides in Dacula, Georgia. She blogs every Tuesday at http://teresatalkstaboo.wordpress.com. 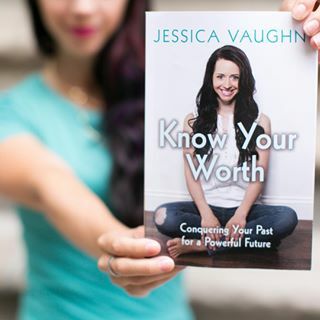 Jessica Vaughn’s debut book, Know Your Worth: Conquering Your Past for A Powerful Future, is a gem! She’s not shy on sharing her story from her heart, holding nothing back. Jessica’s honesty and transparency in sharing scenes from her life journey and lessons learned can truly make a difference in the reader’s life. The first pages of the Introduction highlight Jessica’s experience in working in retail and how that work gave her “roughly four years of management experience.” So she was able to retire from her retail job in her early 20’s and open her first business as a fitness coach before 30. Jessica says that God used her experience in retail to prepare her for her work as a fitness coach. It’s not the first credit Jessica gives to God. She credits God for all of her successes. She shows that no experience in life is wasted, it’s all a part of God’s plan. The author believes that God can use any experience to strengthen you, grow your character and help you become who He’s meant you to be in this life. A key example of this is a common theme throughout the book—relationships. Jessica talks about her failed relationships and the lesson she learned. She reveals her insecurities and shows her readers the value of knowing your worth and how it makes a difference in how you present yourself to this world. Jessica talks about the importance of not being afraid to take a leap of faith. She quotes the Bible verse of Matthew 17:20 about how a mustard seed of faith in God can move mountains. A standout quote from Chapter 3 reads, “You will never be able to love yourself if all you do is listen to what everyone else has to say about you instead of what God has to say.” Such a quote resonated with me because I struggle with focusing more on what everyone has to say about me, everyone except God. It was a relief to know that I’m not the only one who struggles with that and I found inspiration in reading Jessica’s story about how she overcame that struggle. It gave me motivation to overcome it in my life too. The reader will move forward through this book in one sitting because it’s just that good! Every page leads you to wanting to know what happens next just like when you read a good fiction book. Only, this isn’t fiction; it’s real-life and that makes the story even more inspiring! After reading that quote, I’m determined to speak words of life not just to other people, but over myself and I’m eager to see all the wonderful things God does in my life as I focus on His blessings and speak faith not fear or complaints. Ultimately, this book is a great how-to guide. It shows you how to know your worth and see yourself as the priceless treasure of a person God created you to be. It shows you how to overcome negative thinking and gain a positive mindset. It shows you how to evaluate your relationships and let go of ones that are bad for you. It shows you how to have faith in God and trust Him with the outcome. Most importantly, it shows you how to never give up because God is always working in your life. I’d recommend this book to everyone and anyone who doesn’t realize their value and needs to know their worth not in society’s status quo, but through the eyes of the Creator of the Universe who loves you endlessly and knows your worth. *The author provided a complimentary copy of her book "Know Your Worth" in exchange for an honest review. It's the most wonderful time of the year, almost! 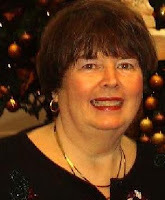 Join me as we celebrate the joy of the Christmas season a few weeks early (before it all starts in December) with this interview of author Diane Dean White! Isn't it a lovely picture for the book cover? The winner will receive their copy of Diane's book well before the 25 Days before Christmas countdown! All you have to do to enter the contest is to: 1) Leave a comment below this blog post and (2) Leave your e-mail address with your comment so we can contact you if you win the contest. The contest starts today (Nov. 15) and will end on Sunday, Nov. 29. After an old-fashioned random drawing conducted by me (Alexis), the winner will be announced here, in the comment section of this blog post on Monday, Nov. 30. *Questions from Alexis are in bold, answers from Diane are not in bold. Alexis: Thanks for agreeing to this author interview, Diane! Diane: Thank you, Alexis for inviting me into your world of readers. I hope I can contribute something worthy and put a smile on some faces. Why don’t you start by telling my readers about yourself? What’s your passion (outside of writing)? Why did you choose a writing career? What do you love the most about being a writer? Anything you don’t like about your work as an author? Feel free to talk about your family and favorite season too! Writing really is my biggest passion now. Our children are grown and live around the globe, and I’m fairly restricted due to a back injury, so I’m up early with my portable keyboard on my lap, on my chaise lounge in my office. I’ve written since a young age; poems first on an old Royal Manual. I did newspaper reporting when the kids were young, and then put that on hold and did my best job ever, raising our three children. During those years I did stringer work for area newspapers, ancestral history and I wrote appeal letters for large non-profit organizations. I’ve written over 300 hundred short-stories and had a four year weekly column in a Michigan magazine. Many stories have been published in Chicken Soup for the Soul (book series), Ideals Magazine and various other books and magazines. My first book was Carolina in the Morning, written when we lived on Hilton Head Island, South Carolina, and loved the research that took us to Charleston. I think what I enjoy most about writing is creating my characters and make them come alive. I feel bad when the book ends, having to say good-bye to them. I dislike mostly the promotional part. Since it’s hard for me to sit I no longer do book signings like I did for my first couple of books, and it’s something I enjoyed. Meeting people, talking and sharing with others and getting their feedback is wonderful! Now I do it via email and Facebook! Your novel, Winter Wonderland, is set in 1951 after the end of World War II. Why did you choose that timeline for your story? I was born after the war and my father was in both fleets of the U.S. Navy. I was raised in the college town of East Lansing, Michigan, across from Michigan State (University now). We had a large older home and Mom and Dad rented rooms to the students, and the time period was very special to me. We had family in Grosse Pointe Woods, a Detroit sub, and often went to visit them. When I got older, Mom and I often went to JL Hudson Company in Detroit. We’d visit Sander’s Ice Cream Shop and enjoy the Gingerale Company. They were all special places, as well as other stores and Detroit. This was in the mid to late 1960’s. But back to 1951, the economy was booming. The Big Three Auto companies were drawing people into Detroit from all over the US to work in the automotive industry. I tried to capture this, and the feelings some may have experienced coming different areas. Tell us about your character Jeb Willis. What makes his role in this story significant? What are his character flaws? Describe his looks. Jeb is a good provider and brings his family from a rural area in Florida to secure a job with Ford Auto Workers. 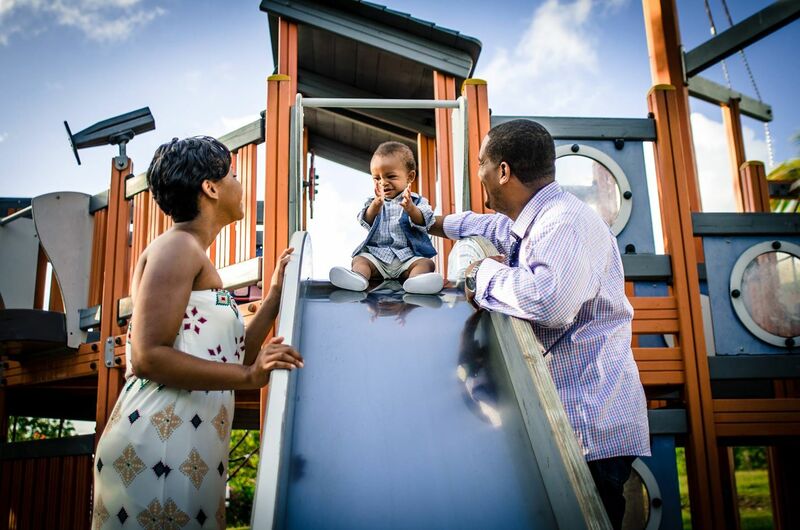 He has contacts and makes a wise decision to buy a home in the area, and his family is his life. He’s in his late forties and a rugged good-looking kind of man; with a natural type of wisdom that comes with a good heart and easy manner. Tell us about your character Cora Willis. What is her role in this story? What are her greatest strengths? What is her secret passion? Describe her personality. 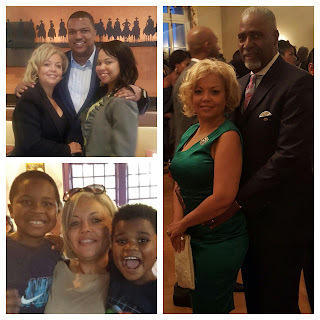 Cora is Jeb’s helpmate in every way, and a kind loving mother to her children. Ruth is their oldest, and after one year of book keeping out of high school, has her sights set on continuing with a career. Cora encourages Ruth, and they are close. Cora sees to the needs of her family as they adjust to the Detroit suburb Dearborn, and she gets involved in an area church and women’s group. How does Ruth’s business savvy and independent spirit play into your telling of this story? Ruth is a go-getter and learns as much as possible about the new area, taking instruction from a knowledgeable man who knows the city. She takes advantage of her benefits working at Hudson’s and knows her siblings needs, purchasing things on lay-away; something we don’t often see today, and she helps her family. Ruth meets a man named Clint who you say, “changes everything.” Who is this Clint fella and how does he go about changing everything? The best laid plans…and with Ruth she continues to keep her eyes on her goal, but they take a second glance at Clint too. Clint has a good position with Vernor’s Gingerale Company, and a chance meeting with Ruth at the revolving doors on her first day going for an interview at JL Hudson’s, gives him pause to reconsider his priorities in life too. Why did you choose Detroit for the city in which to set your story? JL Hudson Company was once the largest building in Detroit, and it’s during the time period, after WWII I wanted to capture. My mother, now age 90, speaks about going to JL Hudson’s with her parents and older brother as a young girl. Consider the early 30’s and young children were safe to walk from the Vernor’s plant with their free cream ales, and back to meet Mom and Dad at Hudson’s. Steve and I went shopping in Detroit when we were first married, but the malls started taking over and although people continued to shop in the motor city, Hudson’s was well known in many malls around the state. What did you enjoy most about writing this Christmas story? Explain. Although I was a little one during this time period, I enjoyed the research, the styles and the gentle spirit people had, helping one another. The excitement of the booming city and simple walks along the sidewalks looking into store windows, night or day; with snowflakes falling is something I’ve experienced, and wanted to share that with readers. What do you want your readers to remember most about this book? Why? The excitement that happens when change takes place and setting a goal, trusting God to provide can lead through detours, but also wonderful experiences. Thanks for stopping by today, Diane! Do you have any final thoughts? Wishing you and your readers a wonderful Thanksgiving and Christmas, Alexis! 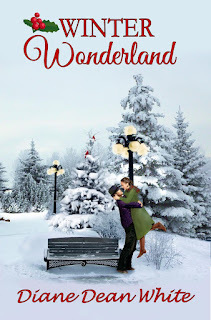 Thank you for the opportunity to share my book, Winter Wonderland, with your readers! Diane started her writing career at an early age when she asked for a typewriter for Christmas. She pounded the keys writing poetry and short stories in grade school on an old black Royal manual. It wasn’t until her husband’s work took them to a southern town she wrote her first column, “Yankee Viewpoint’s” for a local newspaper, covering hard news and feature stories in the area. 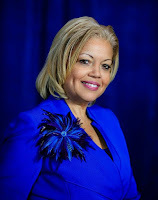 Upon returning to their home-state of Michigan, she did stringer work, ancestral history, and donor appeal letters for non-profit organizations; while doing her favorite job ever, a stay-at-home Mom. She is the author of Beach Walks and Carolina in the Morning, On a Summer Night, Stories from a Porch Swing, Winter Wonderland and Texting Mr. Right. Diane was a columnist for a weekly magazine, for four years, and her stories have appeared in a number of magazines and books. She is the author of over three-hundred short stories. Diane and her hubby Stephen have been married for 43 years. They are the parents of three grown children and three grand-gals. Diane thanks the Lord daily for her loving husband, three great kids and for giving her the desires of her heart. Her next book, This Side of Heaven, will be released in Winter 2016. In 1951 WWII has ended and the economy is booming around the country. Jeb and Cora Willis are excited about a new start. Like many families, they decide to move to the city of Detroit for a factory job that will bring prosperity and a better life. While most young women are looking for husbands, Ruth tries to further her career and concentrates on obtaining a job with her business skills at Detroit’s JL Hudson Department Store. She feels good about her new office position and then meets Clint…who changes everything. Was he part of the reason for their move? 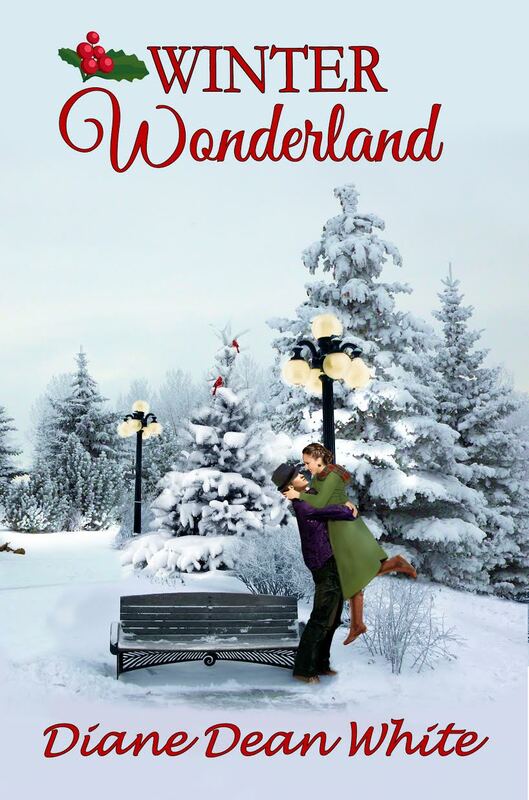 Celebrate the Christmas holiday and follow Ruth in this romantic story, during Detroit’s heyday, in Winter Wonderland. Today's devotional reminds me of two songs: "Oh How He Loves Us" and "Indescribable." God loves ALL of us and His Love is truly indescribable! Gina Anderson-Ford is here today to testify of God's GREAT, indescribable love which she first discovered at a very young age. His Infinite Love…Oh How He Loves Us! I believe we all have a “Come to Jesus” moment and for many it comes after many life experiences that make Him so real to them. Or for some, it takes an earth-shattering event, or becoming so tired of just being downright defiant in walking their way that their will becomes defeated by the realization, acceptance and the need of His love. I know I am to focus on the first time I fell in love with Jesus and I definitely can recall that moment! However, my love for Him has developed and strengthened over time and my love for Him is so sweet that I feel like I fall in love with Him over and over again. Pittsburgh, Pennsylvania is the home of my birthplace. We lived in a row house and our home was centered on the love of Christ. My Dad was an elder of the church and my Mom provided wonderful meals and hospitality to many people every Sabbath after church. Hymns were sung regularly and oh how I loved to sing! We had an elderly neighbor named Mr. Williamson, who lived next door to us. He was a widow who was very quiet and lonely. So I saw the need to minister to him regularly at the age of three years old by going over to sing to him and my signature song was “How Great Thou Art”. After singing to Mr. Williamson, I would see this lonely old man smile and I would see the joy on his face that I knew God wanted him to feel. Mr. Williamson would always thank me and offer me his favorite marshmallows shaped like peanuts. I wasn’t a big fan of these marshmallows but I would take one and enjoy eating it with him. I always left Mr. Williamson feeling like Jesus was right there with us and with him when I left. Many times after leaving Mr. Williamson, I would go and sing for other neighbors on our block. “How Great Thou Art” remains one of my favorite songs and when I sing it or hear it, I become full with love and conviction. Connecting with the words of that song at the tender age of three tells me how connected I was with Jesus. I got how magnificent He was and knew I had to share how wonderful He was with others. My empathetic and caring spirit was a direct example of being in love with Jesus. So I believe that I was a lover of Jesus so early and my countenance even as a little girl fell in love with who He was and what He represented. Being in love with Jesus made me feel safe, happy and thankful for knowing someone who loved me so much that He would die for me. So loving him while I was a child made my relationship with Jesus steady and it provided me a sense of stability that I never take for granted. The confidence in knowing even when the trials of life and the storms come that I have an anchor that will hold me is so significant. As an adult, my love has grown for Jesus when witnessing the birth of my children and more recently, His love was expressed with birth of my grandchildren. Seeing the hand of His love and feeling His presence in times when I have felt all alone. Searching for answers to questions or knowing too well the enemy is on full attack and being able to remember how Jesus died just for me is another testament of my love for Him. It's not just in personal relationships that I fall deeper in love with Jesus. I feel God’s presence most when I sit by the ocean, seeing and hearing the waves, smelling the tropical air while the sun warms my body. Realizing that it is because of Jesus and His indescribable love that I have the amazing opportunity to look out on the extensive ocean and know that I matter, we all matter and thanks to Jesus, one day we will have everlasting life. Falling in Love with Jesus is hands down, no doubt, the best thing I have ever done! Working with Executive Directors of National Associations in Washington, D.C. for more than 25 years, Gina has been blessed to travel the world, immerse in different cultures and orchestrate events and conferences that people fondly remember. Gina is a consummate and creative event planner who loves people, the Caribbean, entertaining, chocolate, drinking H20, Summertime, Christmas, watching movies, reading and writing, doing jigsaw puzzles, playing games and spending time with her grandchildren ("GiGi’s babies"). She loves wearing dresses and heels. Laughing and loving is like breathing to Gina! Family means everything to her. She is married to Bernard Ford who she considers the love of her life. Gina is a grateful Mother to her best works (Summer and Brandon) and a loving GiGi to her four beautiful grandchildren – Pierce, Gabriel, Sydney and Ethan. She's also Mom to her precious Thunder, the family yorkie. Gina is a firm believer that we can learn from everyone on our life’s journey and that we never know people’s life story, so as God says, we should not be judgmental. Love on people and remember that NOTHING (and no one) can ever separate us from the Love of God! 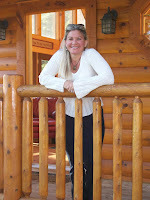 We're visiting with a very familiar author today, Kimberly Rose Johnson returns to the blog to talk about her new novel, Island Christmas! 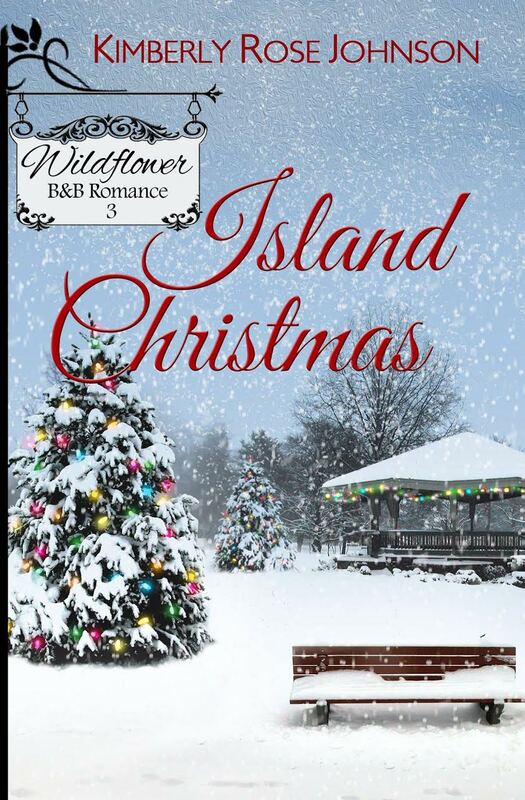 Contest rules: In order to enter the book giveaway contest, leave a comment for Kimberly saying why you want to read her book Island Christmas. The contest starts today (Nov. 8) and will end on Sunday, Nov. 22. You must leave your e-mail address with your comment so that if you are the winner, we can contact you and make arrangements for you to receive your prize. The winner will be selected via an old-fashioned drawing conducted by me (Alexis) and the winner will be announced on this blog post on Monday, Nov. 23. Congrats on the third installment to your Wildflower B&B Romance series! What is Island Christmas about and why did you write it? 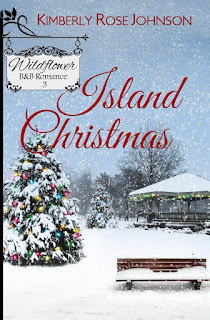 Island Christmas features a strong secondary character from the first book in the series who returns to Wildflower Island with her three-year-old son. Here is the back cover blurb. Should Rachel take a risk, or play it safe and possibly lose the man who could help fulfill her dreams? Sous Chef Rachel Narrelli returns to Wildflower Island looking for a fresh start for herself and her young son, but discovers that life has a lot of bumps in the road even on idyllic Wildflower Island. She is grateful when new friend Chris Campbell offers support as she faces obstacles with her new job and new life. She cares for the Chris but must decide if she is willing to risk her heart to a man with an uncertain future. 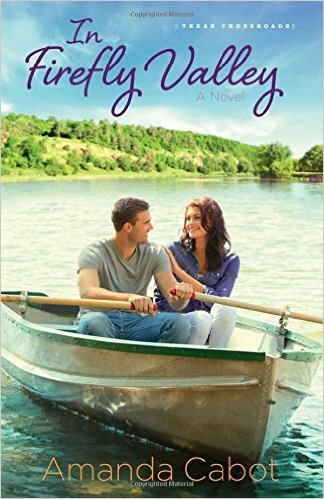 A self-proclaimed workaholic, Chris Campbell comes to Wildflower Island hoping to take life at a slower pace. When a new guest at the Wildflower B&B catches his eye, he is drawn to her. But how will a woman and her young son fit into his future—a future that’s uncertain at best? And most of all, how can he reconcile her lack of faith in God with his strong religious beliefs. Tell me about your leading lady Rachel. Who is she? What is her role in the story? What is her Christmas dream? What makes her special? As I mentioned above Rachel was originally in Island Refuge, at that time she was pregnant and recently widowed. It is now a little more than three years later and she has returned to Wildflower Island to pursue a career as a chef. She is the new sous chef at the resort restaurant (also new, since book one). Although never stated, I believe her Christmas dream is to find love. Rachel is special to me because she played such a big role in the first book in this series, and now we are inside her head. I loved getting to know Rachel better. She has a lot of baggage she is carrying around, but she doesn’t let that stop her—don’t want to say anymore and risk spoiling the story for readers. Tell me about your main man Chris. Who is he? What is his role in the story? What is his Christmas dream? What makes him special? Chris is a software and web designer. He’s a driven man, he loves the Lord, and practices his faith. The men in his family have all died young from heart issues. His doctor warned him that he needed to slow down and cut the stress from his life, or he would end up like his dad and grandfather, so he moved to Wildflower Island to invest in a property and take advantage of the slower pace of the island. Chris is special because he has a huge heart and he lives his faith. Why is Rachel torn between taking a risk and playing it safe? Risks can lead to hurt and she’s been hurt enough to know, she doesn’t want that. On the other hand she could miss out on a lot by playing it safe. What is one of the hurdles Rachel must overcome in this story? Poor Rachel does not have an easy time of it when she first arrives on the island. One of the things she must understand is that her past does not determine her future. What is the greatest challenge Chris will face in this story? Rachel has a young son. Is the father of her son in the picture? What happened? Rachel’s husband died two weeks after they were married of a cancerous brain tumor that he didn’t know he had. How does Chris help Rachel and how does she help him? Chris is a great friend to Rachel. He is there for her time and again when she needs someone. Rachel opens his heart to a future. As the author, what did you most enjoy about creating Chris and Rachel? I loved being able to drop them into a Christmas setting and I especially enjoyed writing Rachel’s character. There is so much more to her than I had realized when she was originally in Island Refuge. What role does faith in God play in this storyline? It’s huge! Here’s a little behind the scenes tidbit: I had written half of the story, when it I found out I had an issue with my editors schedule and the only time she could fit me in was two weeks from that date, or I’d have to find someone else. I LOVE my editor and have worked with her on every book I’ve had published, so I wrote the rest of the book in two weeks time. That being said, I relied heavily on the Lord to guide my writing and guide it He did! Wow. This story took a turn I didn’t expect and looking back I see His hand in it. I think there is so much to this story, that each reader may find a different moral. For me it was you are not defined by your past. An online reviewers thought it was faith and another forgiveness. If you could attend a Christmas party with Rachel or Chris, who would you choose and why? Oh my goodness! That’s like asking which one of my children I’d rather spend Christmas with. How can I choose? I guess if forced to choose I’d go with Rachel because I wouldn’t want to make my husband jealous. LOL! Thanks for the interview, Kimberly! Do you have any final comments? Thanks for hosting me! It’s been a pleasure visiting you and your blog once again. Finally for the readers, if you subscribe to Kindle Unlimited all of the books in this series are included, so you may read them for free. Today's Falling In Love with Jesus story features my friend Jared Renaud Taylor. He's a multi-talented individual who wants to work for God in any and every capacity God sees fit. Jared and his wife Vanessa two sons. They are one of the most inspirational married couples I know and their children are adorable. I hope you will find Jared's story inspiring and relevant to your personal journey with Jesus, whether you're far ahead on the journey or just started walking by faith. Whoever you are and wherever you are on your journey to know God, I hope and pray this story from Jared today will impact your life in a powerful and positive way. It didn’t happen all at once. There was no single moment I can point to. It was more like a series of events that began to crescendo. They began in the Christmas of 2007 when my Mom came to visit. It was the last time I saw her alive. She gave me a copy of the Bible reading plan she was using. Before then I had never read the Bible in its entirety and thought that would have been a great opportunity to do so. It also seemed like an awesome way to facilitate my personal devotion and Bible study in a more intentional way. My methods prior were pretty haphazard. Up until that point, my relationship with Jesus was purely intellectual. I knew the details of what He did, why He did it and what He wanted from me in return. I understood it. I could articulate it. But it was all cerebral. All things considered, following Jesus appeared to be a rational course of action. Weighed against the alternatives, it was the best available choice. My decision to follow Jesus remained cognitive; there was nothing emotive about it. Over the next two years, I read the Bible twice, cover to cover, and gained a better appreciation of His relentless pursuit of mankind. That experience planted and germinated a seed about the depths of His love, from a perspective I’d never considered before. His passion for us, and His perspective on sin really caught my attention. It was an eye opener to discover that what I considered to be shortcomings and weaknesses, He likened to unfaithfulness, adultery and prostitution. I began to see a lot of myself in the rebellious actions of the Israel and Judah. Then, in reading God’s reactions to their idolatry—how He felt about it—I got a sense of God’s personality, making Him less abstract. To know that even after all the ways I’ve mistreated Him—selfishly disregarding His feelings and doing what I wanted, knowing He didn’t approve—He would be willing to forgive me and restore me completely, totally blew my mind. The top of the crescendo came in late 2010 when for the first time I was intentionally mean and hurtful to someone I considered a friend. I realize that I’ve hurt people before, through selfish actions, but I’d never been intentional about causing pain. However in this instance, in order to prove my affections for one young lady, I tried to get rid of another in an awful way. In that moment, when I was being an absolute jerk, she said to me, “I don’t care what you say or do, I love you and I will be here for you!” Her response caught me completely off guard. It seemed irrational. It made no sense. I didn’t know what to do with it. That for me was the “ah ha” moment! I came to her truly repentant. The gravity of my poor choices was manifest to me. I was seeking forgiveness and a chance to make it right. She claimed to love me no matter what. Now I would have to walk this probationary road with no guarantee of reconciliation. It was in that moment that I fully understood and appreciated what Jesus did for me. I found new appreciation for the words “If we confess our sins, He is faithful and just to forgive us our sins and to cleanse us from all unrighteousness.” (1 John 1:9 NKJV) No records kept. No probationary period. No suspicion. With Him I receive immediate reconciliation and full restoration. He offers a fresh start, a clean slate, like it never happened, EVERY SINGLE time! I fell in love with Jesus when I understood and experienced His love. “We love Him, because He first loved us.” 1 John 4:19 (NKJV). Falling in love with Jesus begins with experiencing His love. At least that’s where it began for me…32 years into my journey with Him. Jared Renaud Taylor grew up in the twin-island Republic of Trinidad and Tobago. He loves Jesus and serving others. 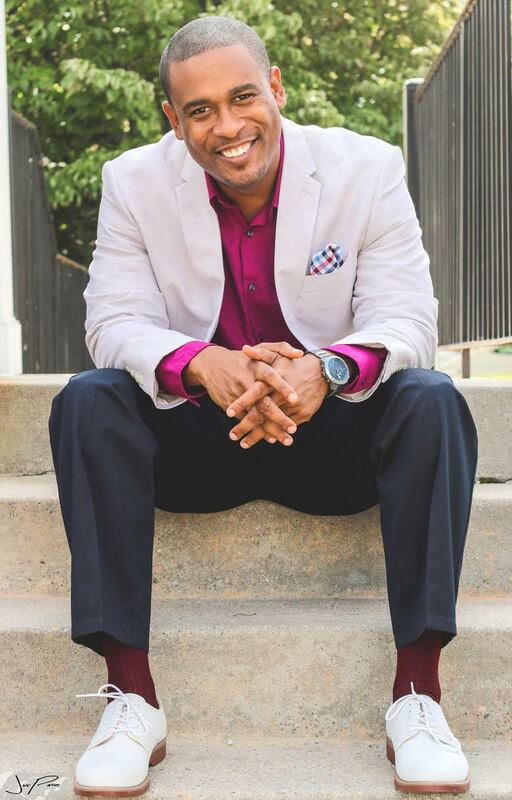 Jared has a Master of Arts degree in Youth Ministry Leadership from Huntington University and serves as an elder, Personal Ministries leader and audio engineer at Restoration Praise Center Seventh-day Adventist Church. He is also the creator, producer and host of Water For The Thirsty, an online web series, which facilitates daily personal devotion and Bible study. Jared has two charming sons, and lives in the Washington D.C. Metropolitan Area with his wife Vanessa, whom he loves dearly. In Firefly Valley is an inspirational romance written by Amanda Cabot, bestselling author of several books such as the Texas Dreams series and Christmas Roses. The author knows how to draw the readers into this fictional world that revolves around a small town in Texas, Rainbow’s End resort and ends with Firefly Valley as “the most romantic place in the word,” as main character Marisa St. George says on the final pages of the story. The story opens with Marisa returning home after being downsized from her career as a rising star at a prestigious accounting firm in Atlanta, Georgia. She's moving back to Dupree which is nestled in the famous Hill Country of Texas. Upon arrival, Marisa is greeted by her niece Fiona who’s excited for two reasons: Aunt Marisa is home and now she can eat the brownies her Mom cooked for the homecoming. The B-story is introduced on page 11: Lauren (Marisa’s sister, mother of Fiona) shared with Marisa that she was going through her late husband Patrick’s things and still grieving his death. Sooner than later, the author reveals that Fiona has been asking her Mom (Lauren) for a “new daddy” and the plot to find Lauren a man begins but not aggressively. Cabot does a good job of developing the B-story without taking too much of the reader’s focus away from the A-story. She knows how to weave two tales that are connected yet independent. It was fun to see how these two tales played out in this 345 page book. The male lead in the A-story is Blake Kendall, a new guest to Rainbow’s End resort who is hiding his true identity as a bestselling author. He meets Marisa who challenges his mind and warms his heart at the exact same time. A romance blossoms between Marisa and Blake but not without a series of events and backstory that threaten to destroy their affection. The male lead in the B-story is Drew Carroll. He’s a well-to-do fella with a heart of gold. But nobody knows the buried beneath that wealth as a successful entrepreneur is a man who is soft-hearted and falling for Lauren (Marisa’s sister). Conflict arises early on because Marisa does not believe that Drew is the right match for her sister and she also has concerns about his character and true intentions. The author knows how to take Marisa’s suspicions and answer the doubts with Drew’s actions and character development. The reader may go from not trusting Drew to rooting for him and that’s all I can say without giving away the story. Amanda’s storytelling style is sweet, solid and calm even in the midst of conflict. The plot is intense, unfolding at a steady and intriguing pace that keeps the reader turning the page. The characters are captivating and deeply developed. The dialogue is far from predictable yet very relatable. Ultimately, this book is about forgiveness, restoration and not only recognizing true love but fighting to keep it. I believe this book is worth every ounce of a five-star rating! I’d recommend it to every hopeless romantic and also to the jaded who stopped believing that true love exists. *Alexis A. Goring received a complimentary copy of In Firefly Valley in exchange for an honest review.